On the first day, new residents and their family members are introduced to members of our staff and, in particular, members of the resident’s care team. Our focus is providing one-on-one support for both the new residents and their family members. Family members are encouraged and welcomed to participate in activities with their loved one. Family members, along with their loved one, participate actively in all aspects of the development of the resident’s Care Plan. All new residents receive a “Welcome Bear” from the Residents Council and a welcome card from our Family Council as part of their admission package. A monthly newsletter is produced and sent to family members to keep them informed and included in our Extendicare extended family. We have an open door policy at Southwood Lakes, so whenever a family member wants to talk, we’re here to listen. Plus, our social worker is always available to talk privately about coping with the stress and emotions of caregiving. 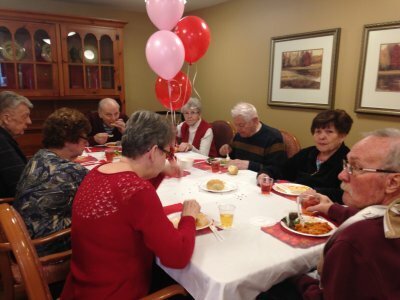 Group outings are organized twice a month and the cost of transportation and lunch is covered by the home. Residents Council and residents determine the activities and/or destination of each outing. Outings include apple picking in the fall, trips to the Windsor Casino, shopping excursions, dining out at a local restaurant, fall colour tours, and more. 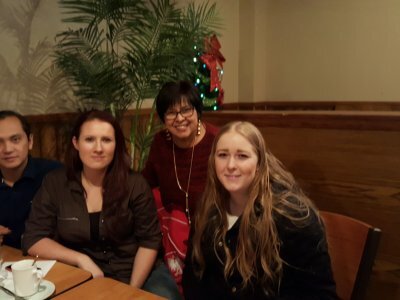 Our home provides student placement and co-op placements opportunities for RN, RPN, PSW and Social Work programs from the University of Windsor, St. Clair College and Everest College. As well, we work with local high schools to give students opportunities to earn their 40-hour community service credits. We also work closely with Windsor Regional Hospital to reduce the number of ER visits. The Nurse Practitioner stationed at the hospital visits our home 2 to 3 times a week to provide care and treatment in our home to residents who might otherwise have to make the trip to and from the ER. We have a strong core of over 50 volunteers from the community who assist in a variety of ways.